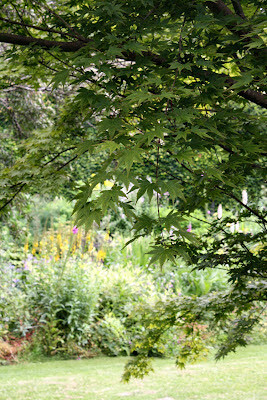 In case you start to wonder, the verdant-ness below was actually photographed in July, but I kept forgetting to post the pictures. 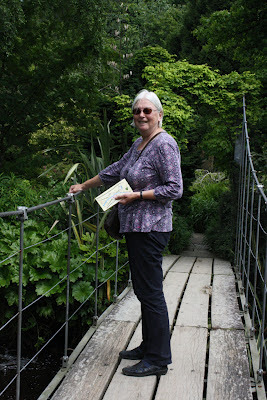 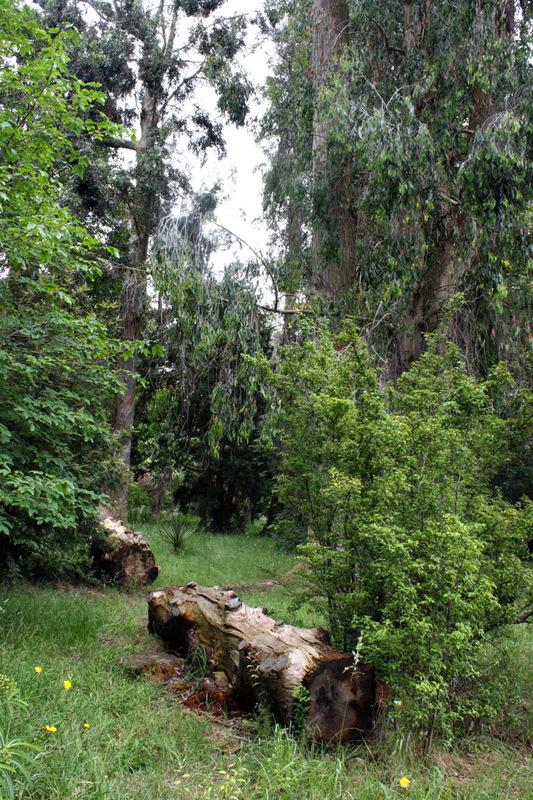 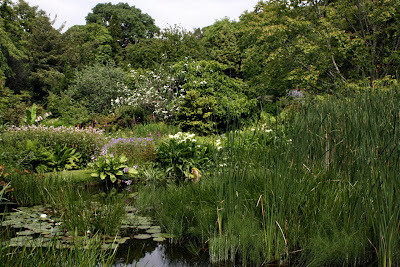 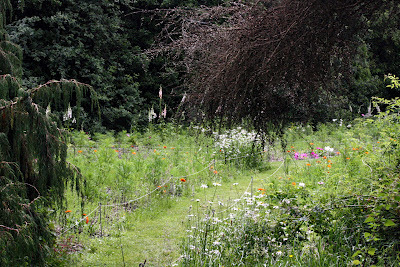 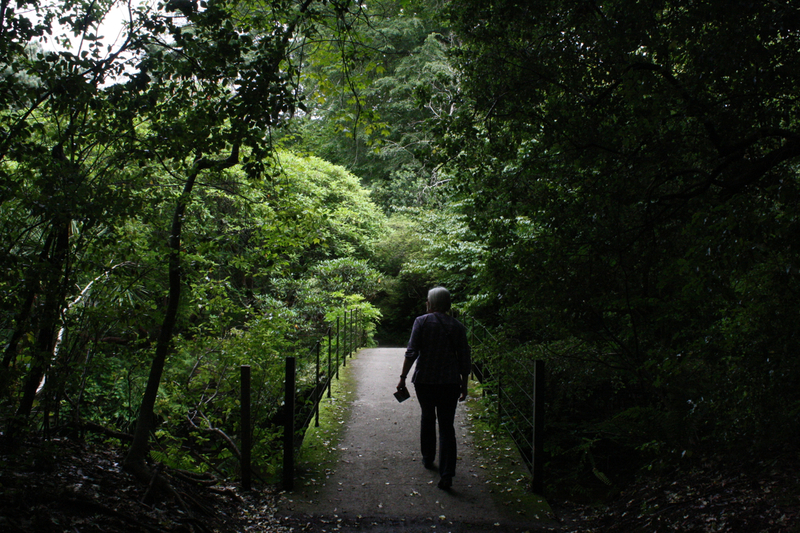 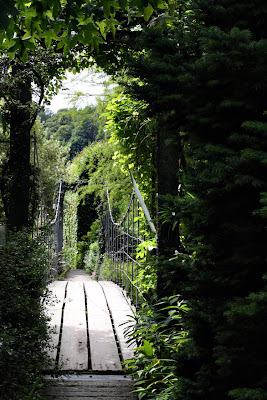 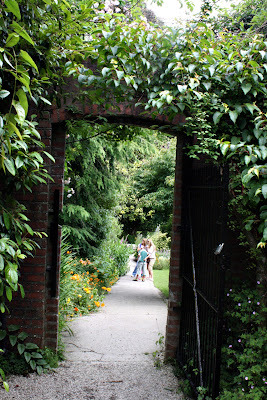 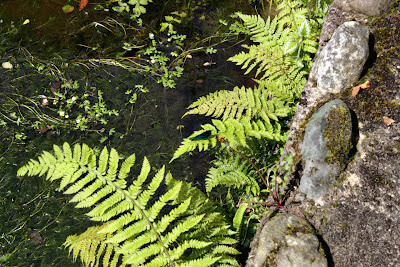 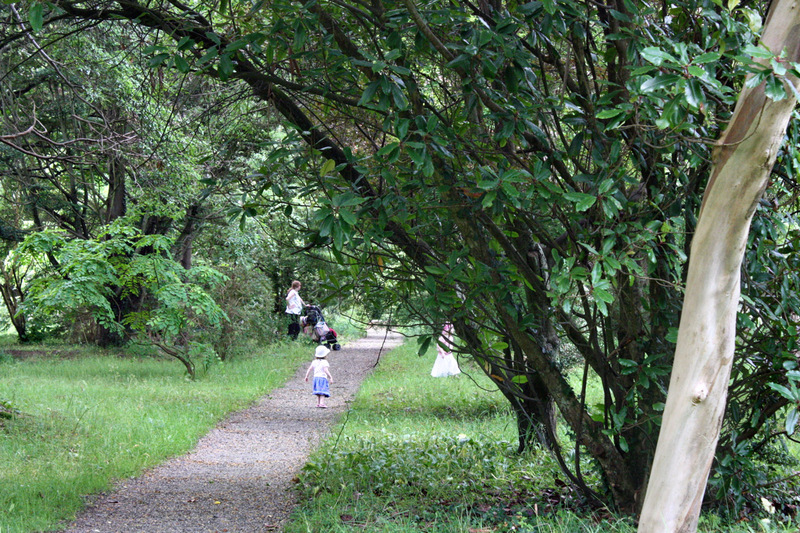 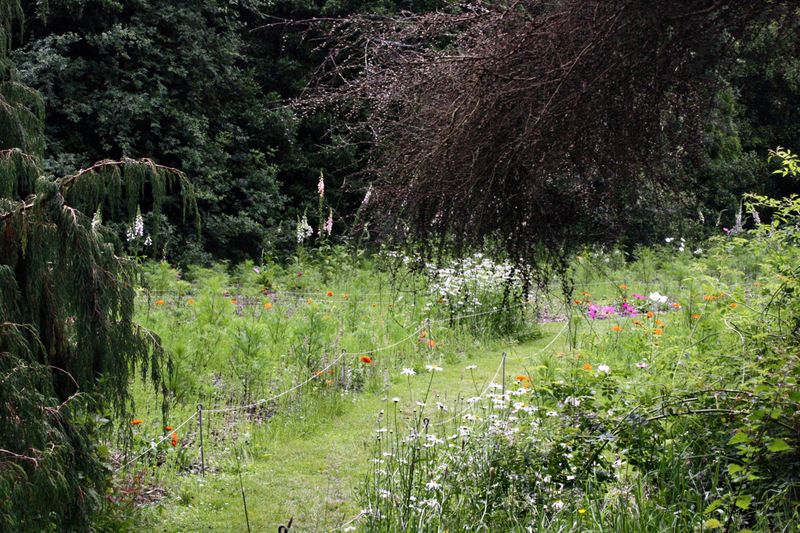 I visited Mount Usher with my mama; it's a stunning garden in Co. Wicklow, less than an hour from the centre of Dublin. For a small fee (worth it) you can walk around a rare slice of loveliness, and the weather doesn't really matter: we were there on an overcast day and it was still beautiful. 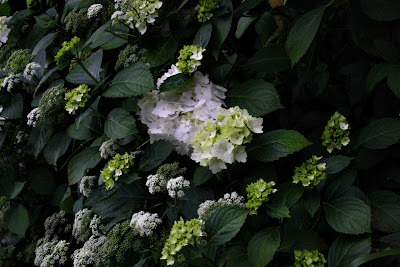 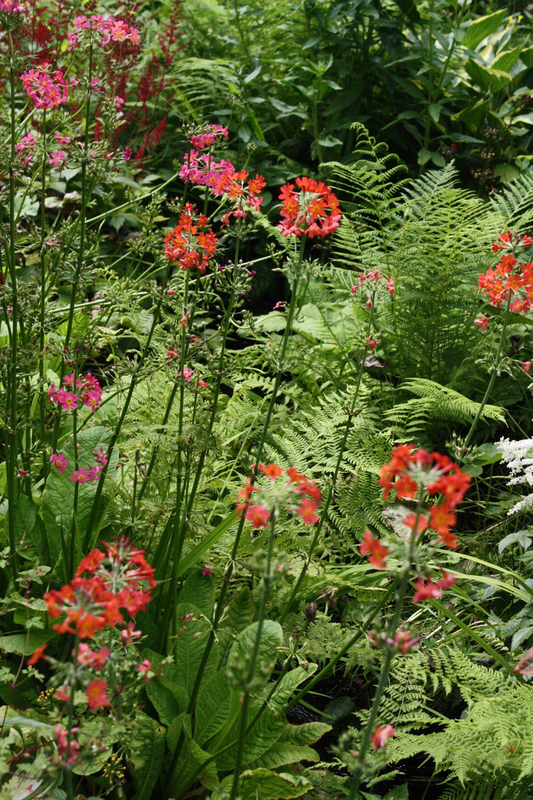 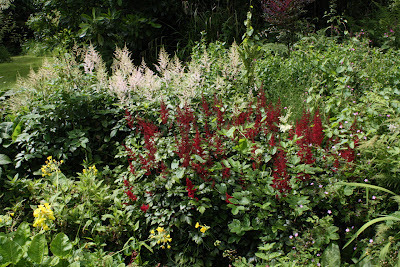 There are interesting grouping of plants, flowers and trees. 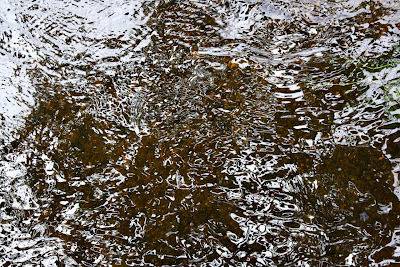 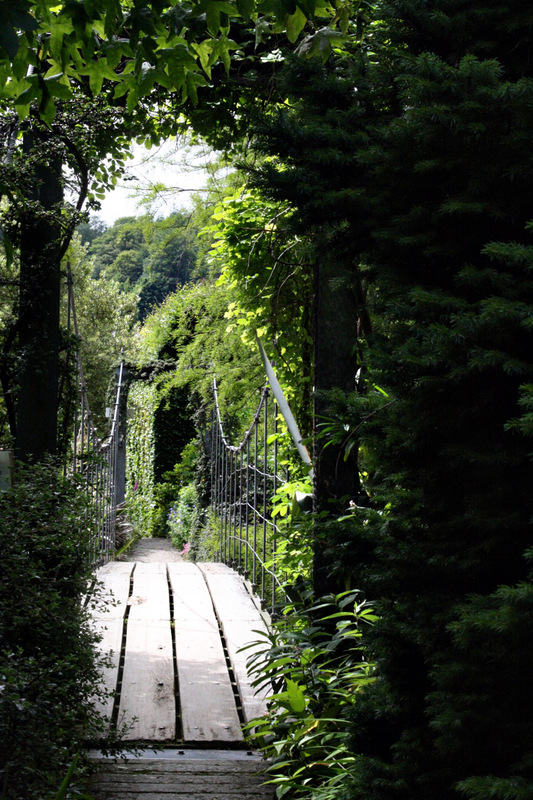 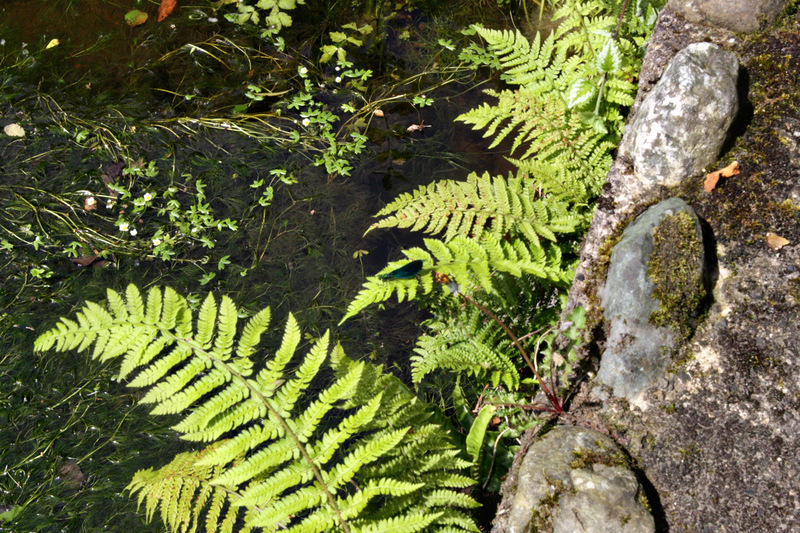 There is also a river running through the heart of the garden and many bridges. 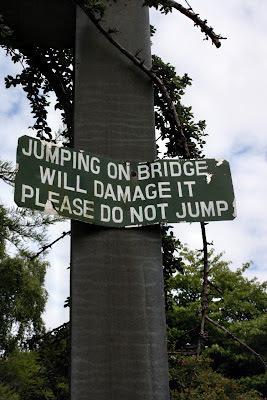 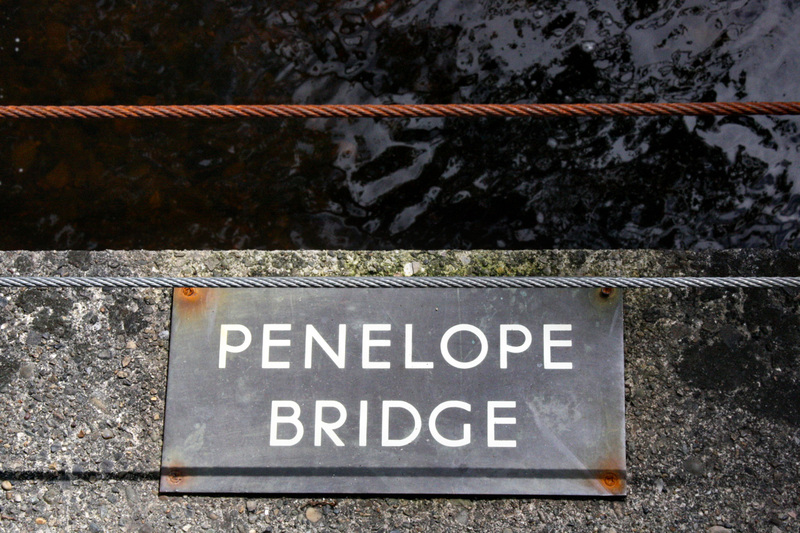 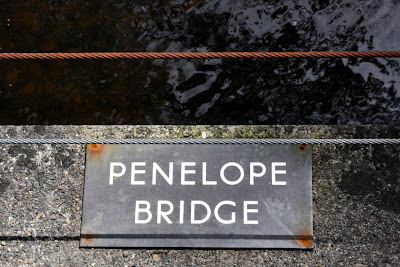 I keep thinking Penelope Bridge sounds like the plucky heroine of an adventure book. No, she didn't jump - honest.